Issue 406 of Starburst Magazine is out now, and it contains a preview of Christopher Nolan's Interstellar written by yours truly. Plus, there's a lot of Batman content to celebrate the Blu-ray release of everyone's favourite god-awful-yet-utterly-brilliant 1960s superhero series. You can buy the issue in print here or digitally here. 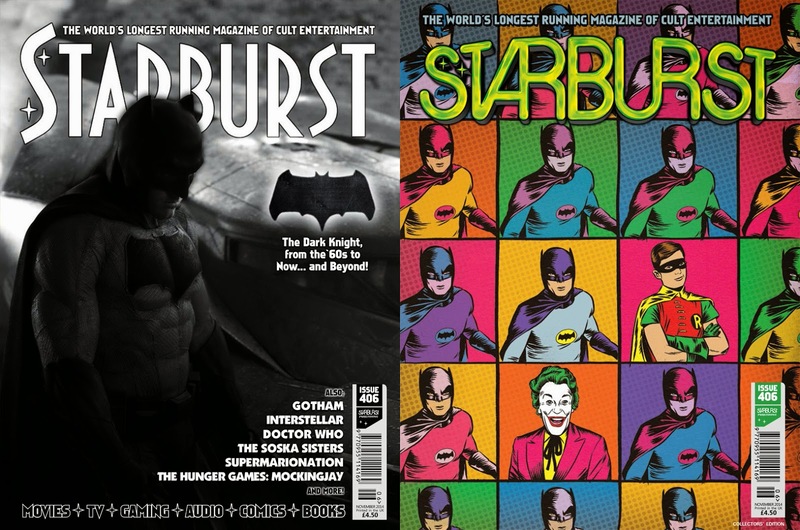 Cool, I created that Batman cover (the one on the right), nice to see it getting about.